The herbal tea hype is all around the world of tea (it’s no secret how much we love it). But, it doesn’t come without a few frustrations. With the exception of Dollar Tea Club, whose subscription boxes start at only $1 per month, most teas don’t come with a low-price tag. And even when they do, it’s important that we use them as much as we can! You might already know everything about herbal tea, but making the most out of it is another story. So, here are 5 tea-riffic ways to get maximum benefits from your favorite herbal tea blends. Do you believe loose-leaf tea leaves are un-reusable, going to trash or compost after one usage? Nope. Your herbal tea leaves and tea bags can be used more than once. While the flavor may not be as potent as your initial cup of tea, any tea blend can be re-steeped! And even if the flavor isn’t extremely strong, you can always add lemon juice or honey for a stronger brew. Herbal tea is also a great way to fertilize your plants. There are a couple of ways for you to do so, too! The first method is to lay wet tea leaves in the soil around your plants. Note: do it after you’ve already steeped and enjoyed a cup of herbal tea! Another way to provide your plants with additional nutrients is to re-steep your herbal tea blend and water your plants with it once it’s cooled. Tea is full of nitrogen-rich nutrients, which balances out the carbon in soil. You can also simply add your used tea leaves to your compost bin, and it will speed up the decomposition time. If you want to know more, find out how to perfect your garden with tea. You’re faced with multiple dilemmas. You’ve made too much herbal tea. You can’t finish your cup (it happens!). You’re in a rush to get out of the house. Whatever you do, don’t dump the tea. Often we think that once our tea gets cold, it’s not as good or that we need to heat it up to continue drinking. If you have herbal tea leftover (or brewed your tea and forgot about it) put it in the fridge and let it cool down. For a fresher result, you can also place it in a jar or put saran wrap overtop of your mug. When lunch or dinner comes around, you’ll have a nice glass of iced-tea to enjoy! You can also add lemonade and make an Arnold Palmer-esque beverage (or you can add some liquor for a boozy alternative!). Keep in mind, your tea will only stay fresh for a couple of days in the fridge. Herbal tea leaves (and your other favorite types of tea, too) can be used around your house to help freshen up the air. After you’re finished brewing your loose-leaf herbal tea, all you need to do is place the used tea leaves in a bowl or open jar and place it in your fridge! Reminiscent of baking soda, the tea leaves will absorb the odors in your fridge and it should be smelling better in no time. You can also create a natural air freshener by re-steeping your herbal tea and adding some of your favorite essential oils for a unique scent! Take a look at your cupboard. Is there the box/pack of tea that you bought ages ago but haven’t tried yet? Sadly, tea doesn’t last forever (so much for vitali-tea): its shelf life is only about 6 to 12 months. That’s if you want a fresh and flavorful brew. I mean, who doesn’t? This recipe is a great way to use tea that’s a little too old to create a great cup of tea, but can still do a great job as a part of your skincare routine. Place everything in a jar and you’ll have a body scrub that’s going to help invigorate your skin and keep your skin feeling fresh and smooth. Especially great if you’re hitting the beach this summer (#instaworthy). Next time you’re steeping your favorite loose-leaf herbal tea, remember that it can be used more than once! Take a look around your house – do you have any houseplants that could use a boost or odors in your fridge that need to go away? You can help solve these problems with your used herbal tea leaves and do so much more. You’ll feel good about quenching your thirst (a couple of times) with a cup of herbal tea because you can get so much for so little. 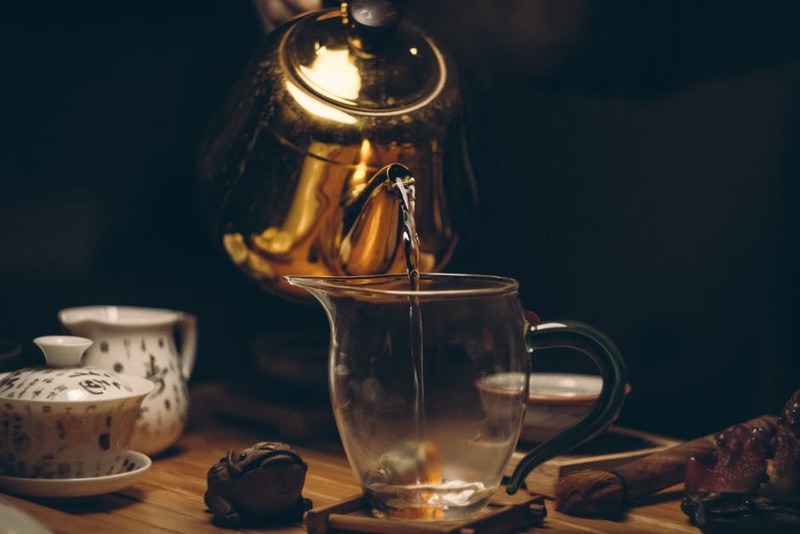 This entry was posted in Did you know?, Story Time and tagged brewing, dollar tea club, herbal tea, herbal tea 101, herbal tea hype, loose leaf tea, natural tea, organic tea, reusable, steeping, subscription, sustainability, tea, tea tips, tips.